A few weeks ago we had a WINTER THEMED WEEK and we had fun doing some simple snowman projects, snowflake crafts, and reading snow themed books! 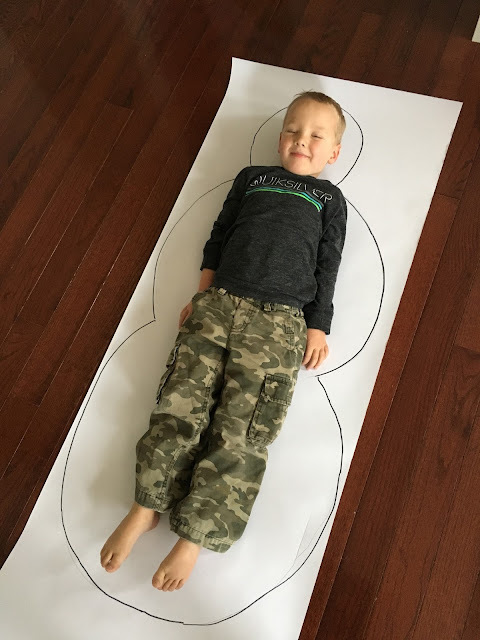 One afternoon when we were trying to fill time while my 3rd grader and kindergartener did homework, my preschooler and I decided to make snowman buddies! It was so easy and we had a lot of giggles along the way! anything else that looks fun! We followed the same process for this activity that we used to make giant gingerbread people. We started by rolling out a large piece of paper and tracing ourselves! I traced first with a pencil and then went over it with a marker so that it was a bit darker. 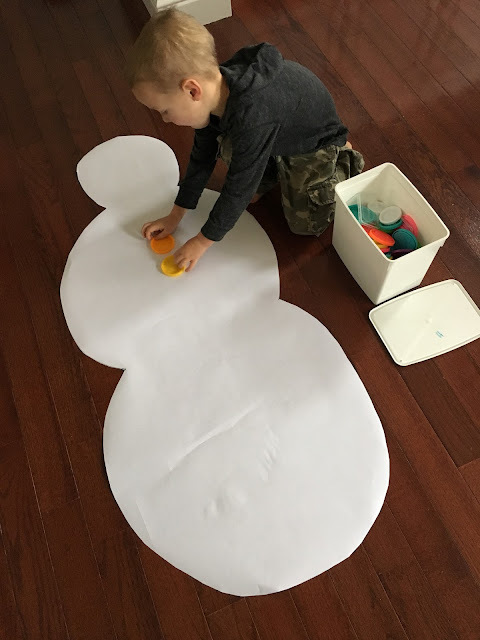 Next we cut out the snowman. Then we stuck on buttons, eyes, a nose, etc. using cardstock scraps and lids. We used double sided tape to secure everything into place. 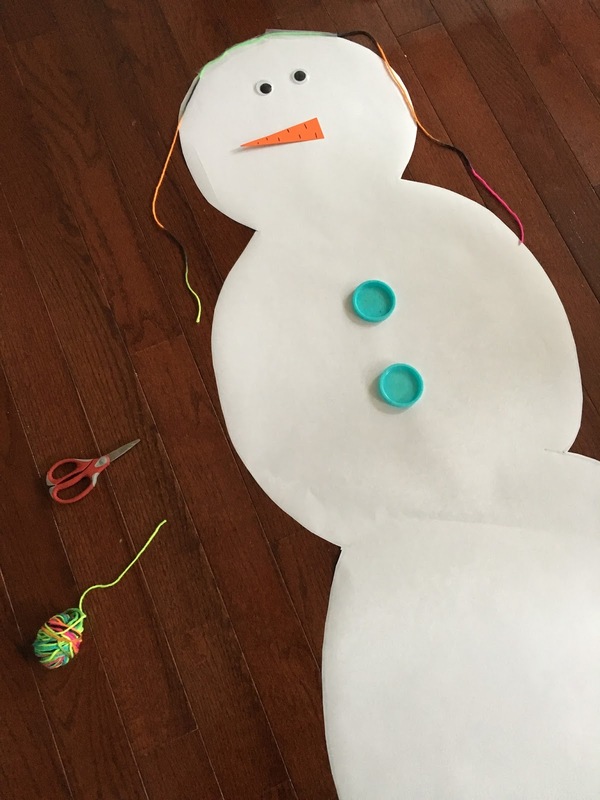 We also used regular clear tape to secure yarn onto one of the snowman people to make HAIR! 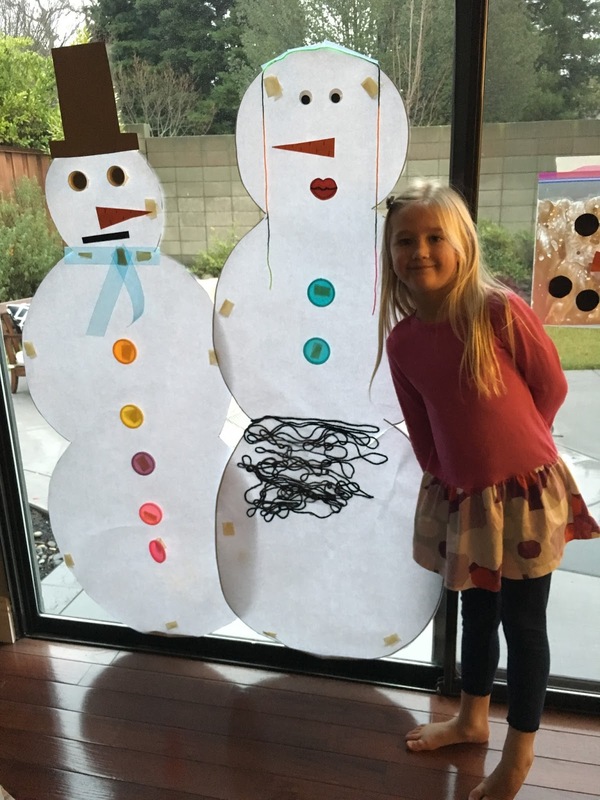 My daughter thought it would be fun to have a snow-woman with rainbow hair. Once they were all done, we stuck them up on the window and displayed them for a bit. The kids thought it was so funny that their buddies were their same size! 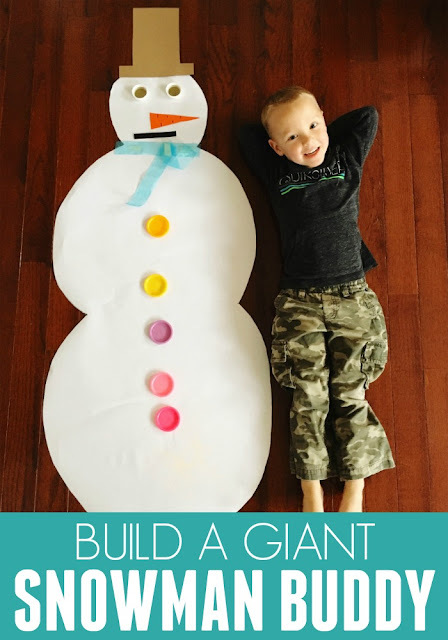 Have you ever made a giant snowman or used a large roll of paper to make something else? 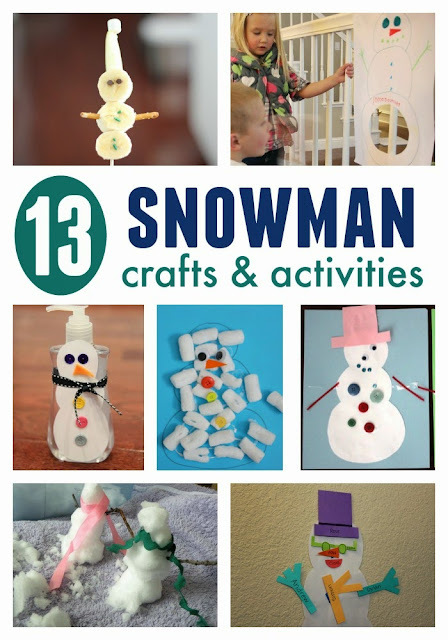 You can find some of our other favorite snowman projects below. 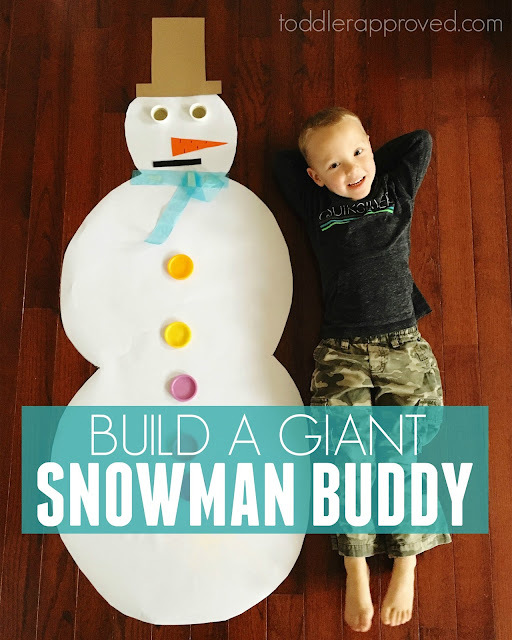 Snowmen are always favorites around here since we don't get any snow where we live in California and rarely get to build snowmen! If you have any other favorite snowmen crafts, pass them along! We are always looking for more fun ideas to add to our repertoire! 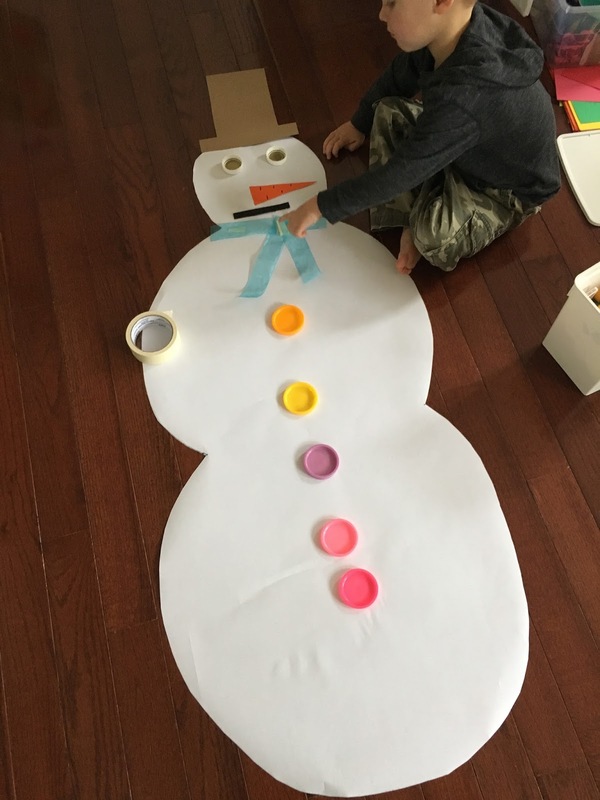 In addition to the simple activities we shared above, here are some of our favorite winter themed books to check out!